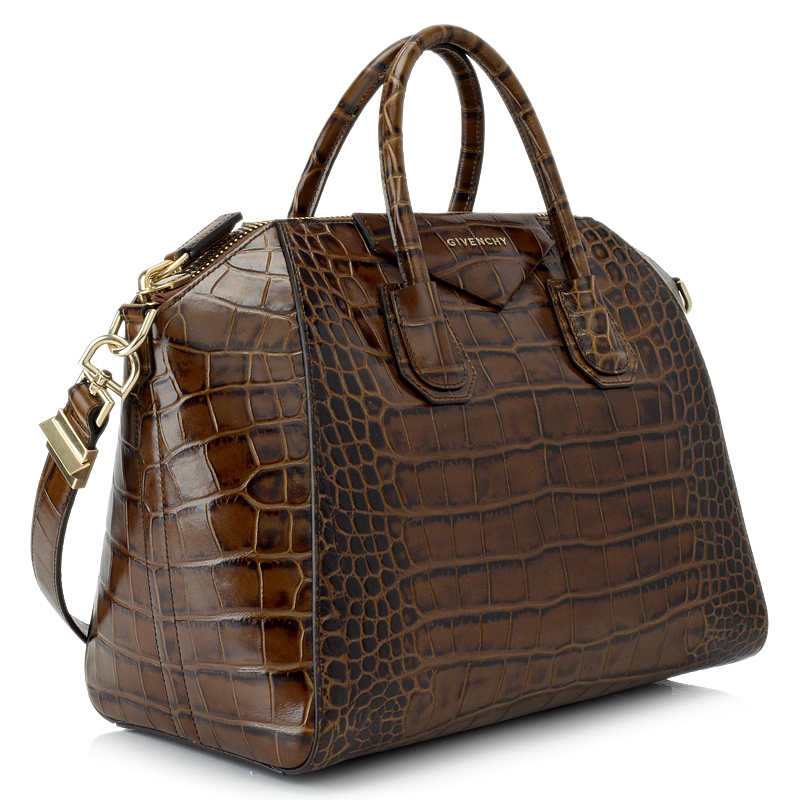 EXOTIC SKIN: GIVENCHY ANTIGONA BAG - The good way to start the day in February by wishing something to be your own, like this Givenchy Medium Antigona Bag made by Croc embossed calfskin leather in brown rich color. This is a women's bag and I do not have any hesitation to carry this to work or for meeting appointment and in medium size I trust. To be exact why I love this bag beside it's size is the fact that I imagine something playful in a look of a man that doesn't looks silly by carrying women bag. One of the most common relationship issue in Indonesia that some men willing to carry his woman's bag in a public place as a proof of caring and self-sacrifice, and I'll tell you now, make sure that your woman's bag is a nice-good-looking bag.